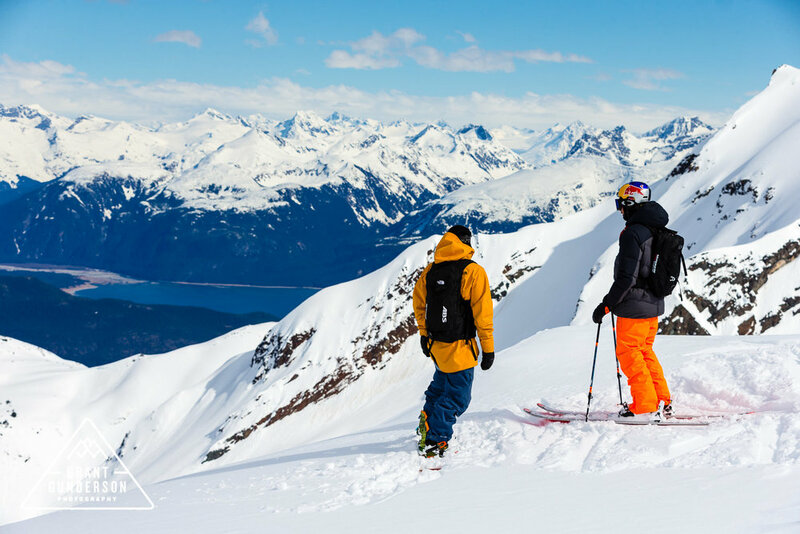 FIVE FRIENDS, FIVE SKI DESTINATIONS, FIVE DAYS. There it is in seven words, the most unique and likely adventurous ski trip that you will ever take. Think of Hangover meets The Great Race. Here’s how it goes: You gather your five besties, your dreamiest of ski locations within a specific region (ie: Laurentians, Kootenay’s) and start planning. Sadly, I had always expected I’d be writing this story after fulfilling the journey to offer personal insight into what to expect. But this ultimate ski trip is unfulfilled by the author and one that I have not heard of elsewhere. So, I’d like to make a deal with you, reader … I will spill the beans on this trip concept and get you started for the return of a post-trip account from you. I’ve been stewing on this idea for years so that’s a pretty good deal, no? Maybe together we can perfect this concept. Heck, perhaps there’s a business model in this; we’ll collectively start a The 5-5-5 Corporation and make a killing. First things first, here’s the gist of the trip idea, which BTW, can be personalized to your geography, interest and/or budget. My ultimate 5-5-5 would take place in the East Kootenay Rockies and Southern Alberta. I’d like to say that it’s not because I was raised there but that’s a stretch. It would involve my three brothers and best friend … and it would likely get a bit ugly. First a few ground rules: No drinking and driving (I have a logistics to avoid this built into the plan). You must make the first load and ski until closing at each location (this is a ski trip after all). The maximum driving distance between locations should be less than 3 hours to avoid road burnout. Also you should not invite Mike Tyson and/or his 300 kg tiger as that would be not only be weird, but not feasible. Logistics: As we’d all be flying in from different locations, the meet up would take place at the Calgary airport where we’d rent a mini-van. Yes, a mini van. We need space for some pretty serious luggage and 5 seats. From Calgary, we’d book it over to “the Lake”, about a two-hour drive. For this first night, we’re going luxury, just to ease into this journey so that we’re fresh for the first turns. STAY: The Post Hotel in Lake Louise. SKI: Start with a few high-speed runs on the Meadowlark and Men’s Downhill – where you can pretend that we’re Aksel Lund Svindal (a much older and slower version) and rip the Fallaway pitch. Then explore the chutes off the Summit Platter, like C Gully or Upper Boomerang. EATS: Breakfast at the Lodge of Ten Peaks, lunch at Whitehorn Lodge (mid-mountain), dinner at The Post Hotel. APRES: Kuma Yama Sushi (in the Lodge of Ten Peaks). DRIVE TIME: Draw straws for designated driver for the first day, then rotate. 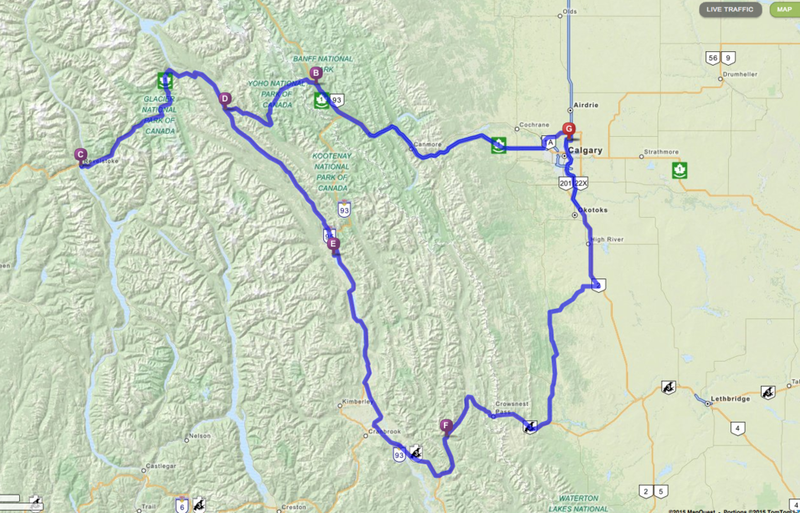 Drive time to Revelstoke – 4 hours. STAY: Sutton Place Hotel (base of the mountain). SKI: Start with the leg-burning Pitch Black to warm up, then head to the North Bowl. EATS: Chubby Funsters in downtown Revelstoke. APRES: The Mac (Mackenzie Common Tavern). DRIVE TIME: Drive time to Kicking Horse – 1 hour, 50 mins. STAY: The Vagabond Lodge, or the Highland Lodge. SKI: Hop aboard the Golden Eagle Express and just pick a line. Then a short trek over to T1 (Terminator Ridge), again pick a line, any line. EATS: Breakfast at Double Black Café, lunch at Eagle’s Eye Lodge (top of mountain), dinner at Rockwater Grill (in Golden). DRIVE TIME: Drive time to Panorama – 1 hour, 55 mins. STAY: Upper Village Condo (close to the large hot springs pool). SKI: Groomers on the Rollercoaster will warm you up. Graduate to the Tayton Bowl (ask a local which chutes are in the best condition … C-Spine is good). EATS: Big breakfast at Picnic Cafe, light lunch and killer coffee at Lusti’s Cappuccino Bar. Dinner at Choppers Landing at the heliplex, lower village. DRIVE TIME: Drive time to Fernie – 2 hours, 30 mins. To avoid being the guy who say’s that his hill is the best one, I won’t bother. But I will say that we could have saved be best for last. STAY: Fernie Lodging Company, lots of ski-in/out options. SKI: Start on the “old mountain” (Lizard and Cedar Bowls), try Snake Ridge. then over to the Polar Peak Chair and ski the runs of your life. EATS: Eat in, it’s been a long week and you need your energy. Have some yogurt and granola dude. Lunch at Lost Boys (mid-mountain), dinner at Blue Toque or the Bridge Bistro (downtown). APRES: The Griz Bar. Best apres ever. If you haven’t already, try the Mogul Smoker. DRIVE TIME: Drive time to Calgary Airport – 3 hours, 10 mins. TRIP BUDGET: Total $5,489 ($1,098 per person, excluding flight). Car rental, $439 (Enterprise); Food, $1250 ($50 pp/day); Lodging, $1250 (250/night); Lift tickets, $2125; Apres, $425. All figures estimates.